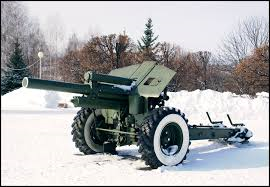 These weapon was the mainstay of the North Korean and Chinese Artillery during the Korean War. Heavily used by the Soviet Army during the Second World War, it was effective weapon. It had a range of over 11 kilometres, could fire five rounds a minute. It needed a crew of 8 to operate. The problem was however that once the firing position of the howitzer was detected it be bombed by the American air force.